Winner Affiliates are now known as NetHive and don't have good terms and conditions for affiliates. Promote at your own risk. There have been numerous complaints from webmasters not getting paid and not having their concerns addressed. Until we hear further notice, webmasters should proceed with caution when working with Winner Affiliates. 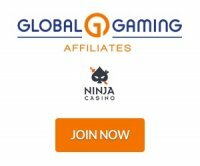 Winner Affiliates is the affiliate program for Winner.com which is an online poker room, bingo room, casino and sports. Their brands launched in 2009 and use Playtech for their online casino and iPoker Network for their poker room. USA players are not allowed to create an account at any of the brands along with players from France. The brands do accept traffic worldwide and target United Kingdom and most of Europe. The brands are licensed and regulated in the caribbean island Antigua. They have been online for a few years and you can advertise any of the 4 gaming products to your players whether it is for the sportsbook, casino, bingo or poker room. Players have many languages to choose from as well as currencies. Players can make deposits with Click2Pay, ClickandBuy, EcoCard, GiroPay, iDEAL, InstaDebit, MasterCard, Moneta, Moneybookers (Skrill), Neteller, Paysafe Card, Przelewy24, Ukash, UseMyBank, Visa, Web Money and many others. Affiliates have a choice between revenue share commissions starting at 20% and CPA rates starting at $40. New affiliates get a 100% revenue share commission for the first month, 60% for the second, and 40% for the third month. After the third month, your account will switch to the standard commission plan of 25% to 45% for casino and 20% to 30% for poker and bingo. For new sports affiliates, you get a 30% revenue share commission for two months and then the standard revenue share commission of 20%. The affiliate backend shows a simple easy to navigate menu with a welcome message to their affiliates with marketing tips and webmaster toolbox. Your assigned affiliate manager is always displayed by name and email. The menu tabs include Traffic Stats, Marketing Tools, Profiles, Modify Account and Promotions. Click on Traffic Stats to get your data and filter by date range and show your impressions, clicks, real downloads, casino real players, first time depositing count and net gaming revenue. The Promotions tab is for current affiliate promotions. The Marketing Tools tab gives you more than enough media such as banners, reviews, text links, logos, flash banners, press releases, offline materials, rss feeds, bonus codes as well as generic trackers. Affiliates are also provided with additional tools through innovative mobile ad formats which can monetize their traffic effectively. Winner Affiliates offers new affiliates a 100% revenue share commission for the first month, 60% for the second month, and 40% for the third month. After the third month, you get the standard revenue share commission of 25% to 45% or CPA deals from $75 to $250 for casino. For bingo and poker, the standard revenue commission is 20% to 30% or CPA deals from $40 to $150. For new sports affiliates, you get a 30% revenue share commission for the first two months before switching to the standard revenue share commission of 20% or CPA deals of $40 to $80. Their sportsbook, poker, bingo and casino rooms all stand out as strong products to promote on their own for your players. Payments are made on a monthly basis which a few ewallets available as payment options such as Neteller, Skrill, WebMoney and Intercash. The affiliate managers are fast to answer emails and you can always find the contact information of your assigned affiliate manager every time you log in to the backend.